It seems incredible that just over 18 months ago the D-Zero was unveiled to the sailing public at the RYA Dinghy Show 2014. 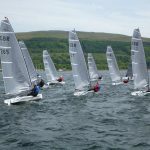 Since then the class has grown strongly with the early forming of the class association, 2 open meetings before the end of 2014 and a good showing at the GJW Direct SailJuice Winter Series 2014/2015. 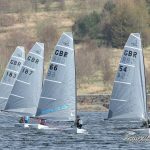 Now, nearly a year on and, after a good summer of sailing where the class crowned their first UK National Champion in Dan Holman and first Inland Champion in David Summerville along with numerous successful Open Meetings, it is time to think about the D-Zero Winter Series 2015/2016. The class is going to be running a Winter Series Championships that will incorporate the GJW Direct SailJuice events along with the Grafham Water D-Zero open and Steve Nicholson Memorial trophy with the best 4 of 8 results to count (as the Grafham Open meeting was postponed and will likely be held as part of the Grafham GP). 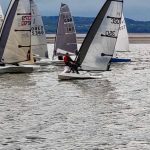 Last year David Summerville had a great run in winning the D-Zero class in the last 3 events to take the title from Russ Hopkins with Dave Woods (probably the most travelled D-Zero sailor in the class) coming home 3rd. 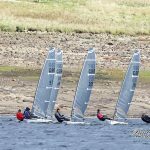 29th November 2015 – Grafham Water D-Zero Open Meeting – Grafham Water Sailing Club (non GJW Sailjuice event) – Event postponed due to high winds. Do not let that put you off entering the other events though as a sneaky entry could gain you an advantage in the D-Zero Winter Series overall classification! 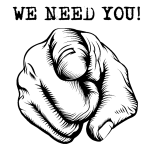 To find out more about the GJW SailJuice winter series events and enter click here.